Listen up moms-to-be… The American Medical Association (AMA) is now recommending prenatal supplementation with choline as of June 13, 2017, and most of you aren’t getting even close to enough! Choline is an essential nutrient that helps a baby’s brain and spinal cord develop properly. Obtaining recommended levels of choline are necessary to maintain normal pregnancy including neural development of the fetus and reducing the incidence of birth defects. Inadequate choline levels during pregnancy are thought to negatively affect cognitive development and maintenance across the lifespan. Neural tube and hippocampus development in the baby are also highly dependent on adequate choline intake. Prenatal vitamins only contain 0–55 mg of choline, leaving the majority of women insufficient to protect the health and development of their babies, according to data cited in the resolution adopted by the AMA House of Delegates. Delegates voted unanimously to support evidence-based amounts of choline in all prenatal vitamins. It’s about time the medical community addressed this important nutrition issue! Our recent data shows that not only pregnant and/or lactating women, but approximately 90% of all Americans fall short of their choline requirement. New data forthcoming from our lab reveals that only 8% of pregnant women are getting enough choline (data unpublished). This is an enormous public health risk given the vital role choline plays in cognitive development of the infant. While the AMA got it right that all pregnant and/or lactating women need choline, they missed one important detail. Whole eggs! Those nutritious yellow yoks contain about 125 mg of choline. Our forthcoming research shows that only heavy egg consumers (i.e., those who consume two or more whole per day) even come close to meeting choline requirements. Shortfalls are so prevalent our lab has not been able to identify any differences among socio-economic factors such as household income level, as we have with other shortfall nutrients such as calcium and vitamin D. The bottom line… consuming a choline rich diet and being an “egg head” literally has proven benefits! 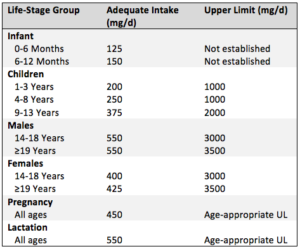 My hope is that doctors will begin to recommend choline supplementation and higher egg intake during pregnancy and lactation, similar to current recommendations for folic acid. Remember that choline is equally important during lactation since the body deprives the mother of choline stores for the infant’s development and wellbeing. The nutrition science community needs to do better with encouraging whole egg intake, especially since we now know that dietary cholesterol is not correlated to blood cholesterol levels in most individuals that are not type-2 diabetic. Choline fortification among staple products such as breakfast cereals may also help increase the population’s intake of this essential nutrient. The National Academy of Medicine first recognized choline as an essential since 1998. There has been little to no government funding for research on choline in the past, so it’s not surprising that we are just beginning to “crack the shell” around the vital role this nutrient plays in human health. Greater awareness of this essential nutrient in the medical community and general public will hopefully drive future research funding from both government and industry. 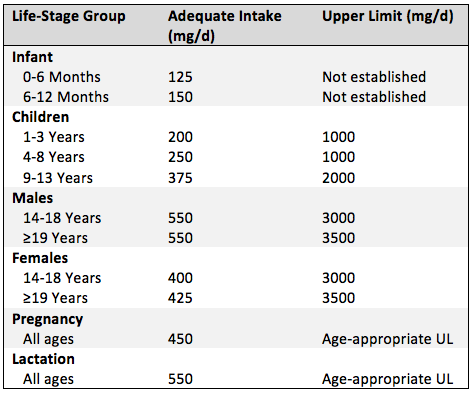 Table: Recommended intakes for choline. Awesome article! Sums it all up!